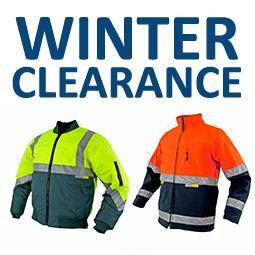 With winter already here we are clearing out our winter range getting ready for the coming seasons. Until the end of the month Elliotts sales managers will be doing great package deals on all the winter jackets listed below. Want to talk about a bulk order bargain, give us a call. A high visibility full wool yellow/black jacket with 3M reflective trim. Made from 90% wool/ 10% polyester material, zip front with high collar and hand warmer pockets. The CREST soft shell winter jacket is a light weight, wind proof and highly water resistant jacket with 3M reflective trim style 4. The jacket is made from black or high visibility orange and navy polyester soft shell which incorporates a waterproof, windproof and breathable membrane. Zip front with high collar, chest mobile phone/radio pocket and hand warmer pockets. The BOMBER winter jacket is a two toned bomber style, wind proof and highly water resistant jacket. The jacket is made from two tone orange black, yellow black, yellow green polyester shell with padded quilted liner. The jacket incorporates pen and mobile phone/radio pockets on arm and hand warmer pockets.